The classic realist text has long been derided by post-structuralist critics as an unsophisticated and reactionary form. 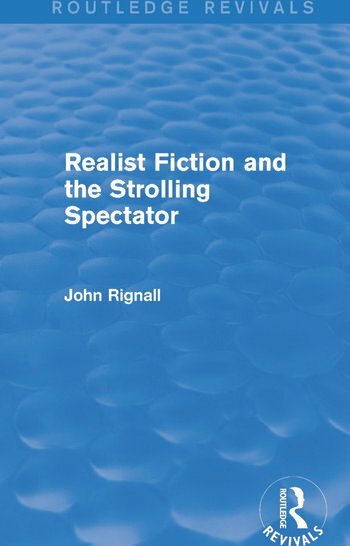 In this study, first published 1992, John Rignall makes a powerful case for the rehabilitation of realism as a self-aware and reflexive genre. Using the novels of Scott, Balzac, Dickens, George Eliot, Flaubert, James, Ford and Conrad, Rignall argues for an understanding of realism through the recurrent figure of the flâneur. The flâneur is the strolling spectator whose problematic vision both of and in the novel makes him the representative figure of the realist text. A significant contribution to the field, this title will be of particular view to students of realism, literary theory, and comparative literature.